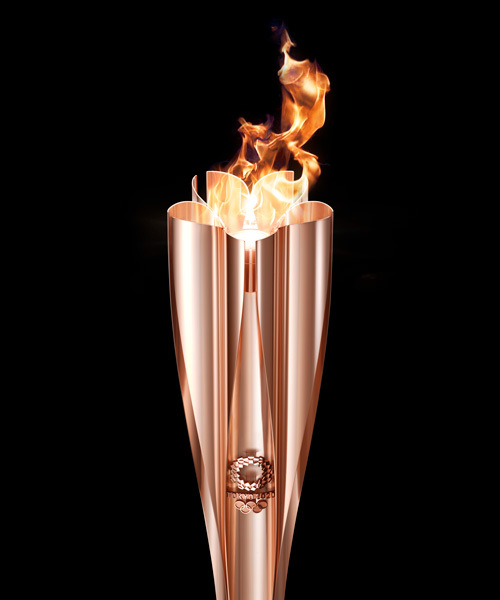 the tokyo organising committee of the olympic and paralympic games today unveiled the tokyo 2020 olympic torch. 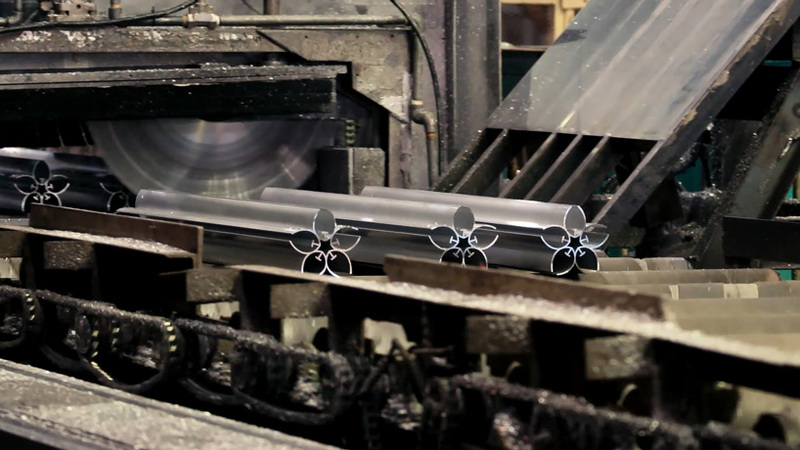 japanese designer tokujin yoshioka came up with the vision for the symbol which will be carried through the country’s rich scenery before igniting the games next year. 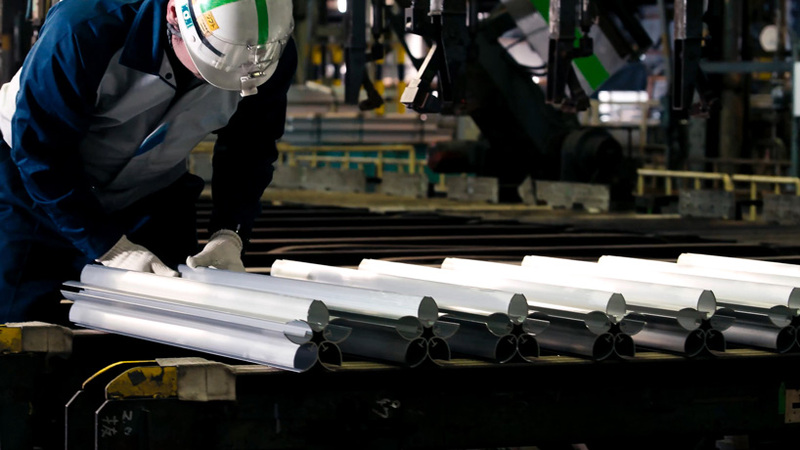 the torch is made using the same cutting-edge technology as in the production of japan’s bullet trains and is formed of a seamless, single piece of aluminium. 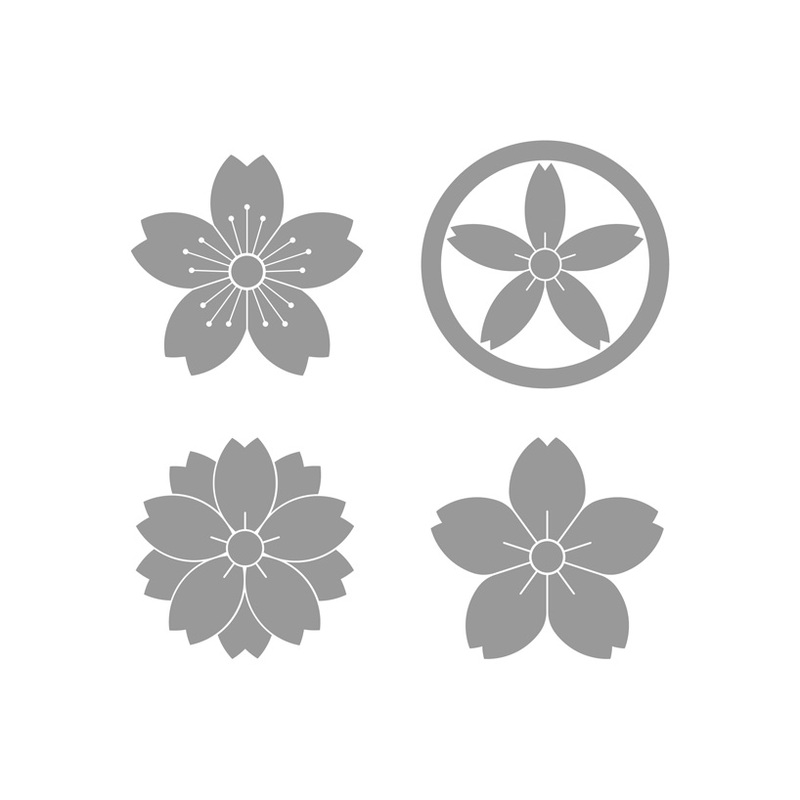 it measures 71cm in length, weighs 1.2kg and is shaped in the traditional emblem of the sakura, or cherry blossom, japan’s most well-known flower. 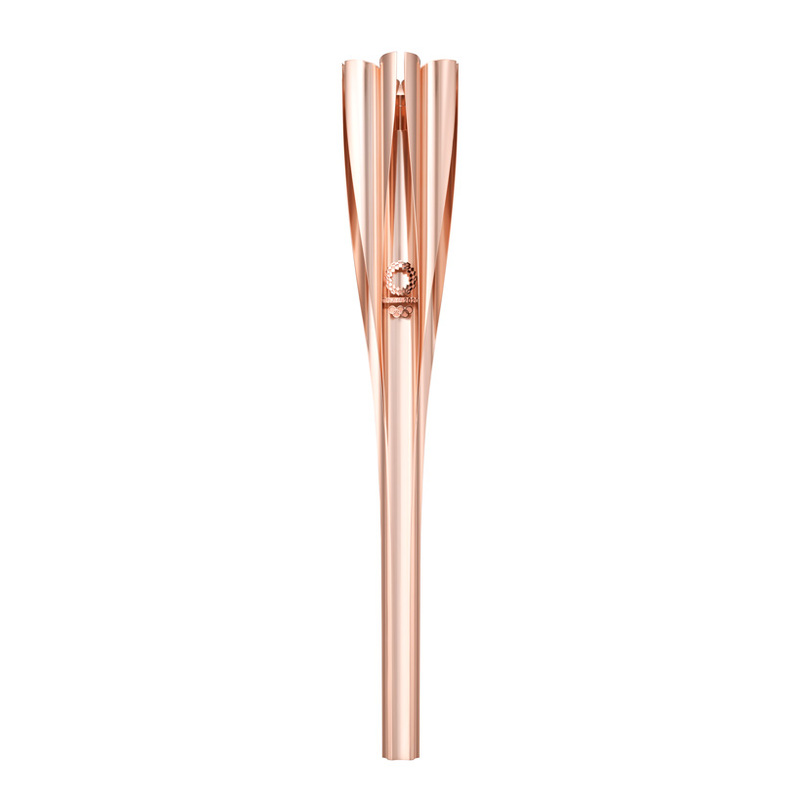 the shiny rose-gold torch, uses the waste from temporary housing built for victims of the 2011 quake and tsunami: ‘cherry blossoms drawn by kids in the disaster-hit area inspired me,’ tokujin yoshioka explains. 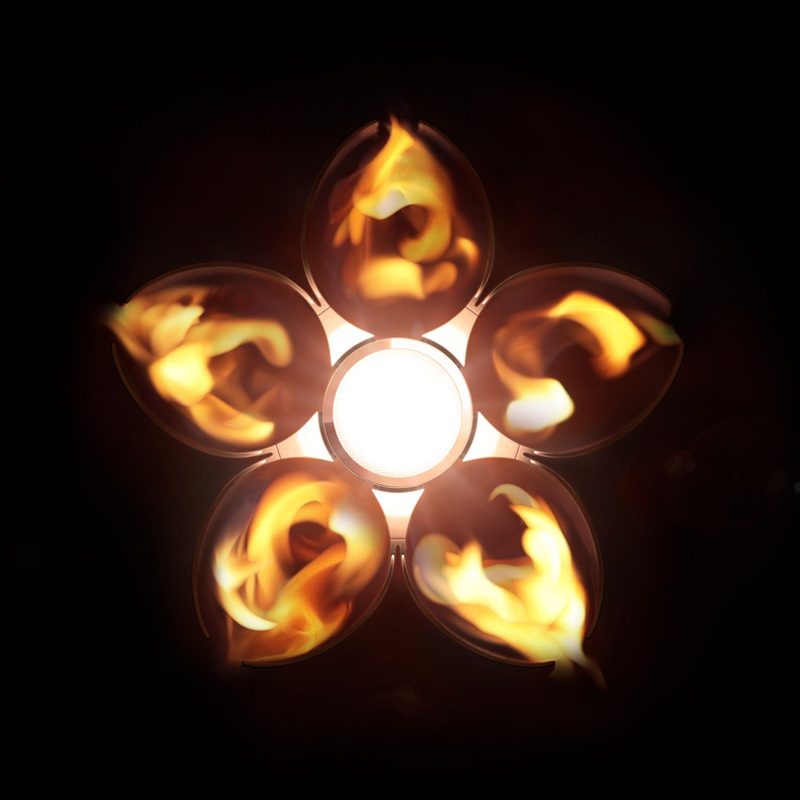 the designer also added that the torch is designed to ensure the flame will not go out even during the typhoon season. furthermore, the weight and shape of the torch grip is designed to make it easy for anyone to handle. it includes a positioning mark indicating the front of the torch designed for those with a visual impairment. the torch and its emblem will feature strongly in the build-up to the games across the whole of japan. its unveiling comes exactly one year before the flame is due to arrive from greece at matsushima airbase in miyagi prefecture. fukushima was chosen as the starting point for the olympic torch relay. 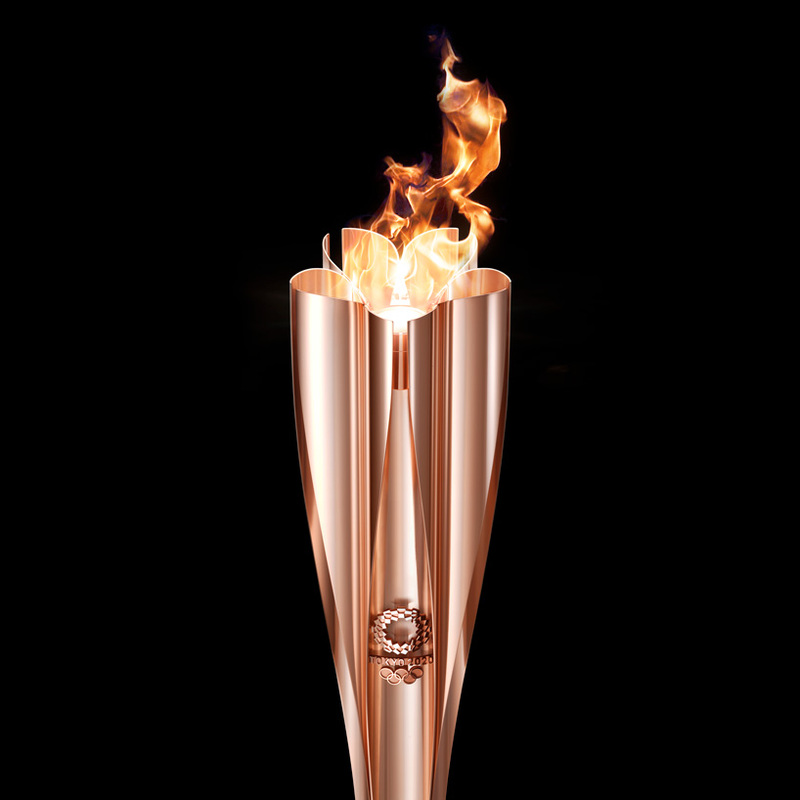 the passing of the flame is scheduled to start on march 26, 2020, and the torch will head south to the sub-tropical island of okinawa – the starting point for the 1964 tokyo games relay – before returning north and arriving in the japanese capital on july 10.